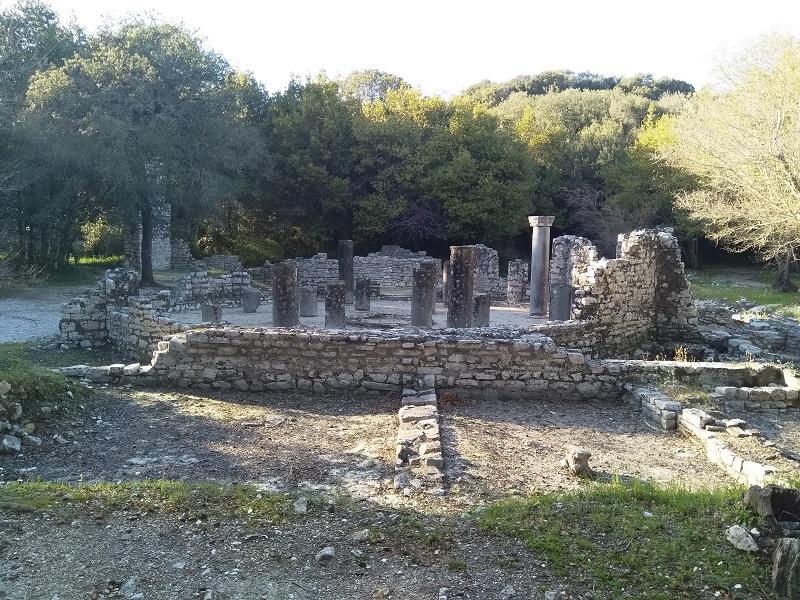 Today I went to Butrint. It’s a national park located a few kilometres south of Ksamil. 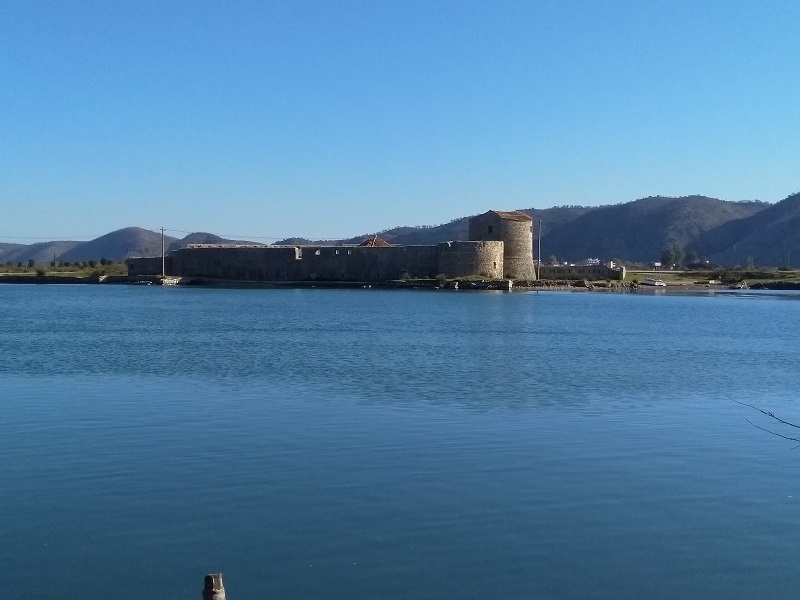 Butrint is the Albanian name. In English, it’s called Buthrotum. 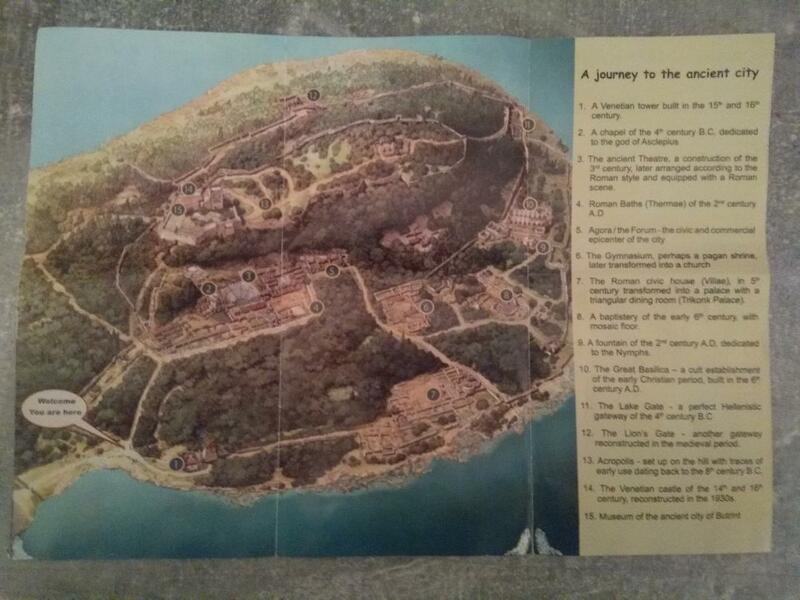 According to the map/guide I was given before I entered the park, Butrint is the “most visited cultural tourist destination” in Albania. 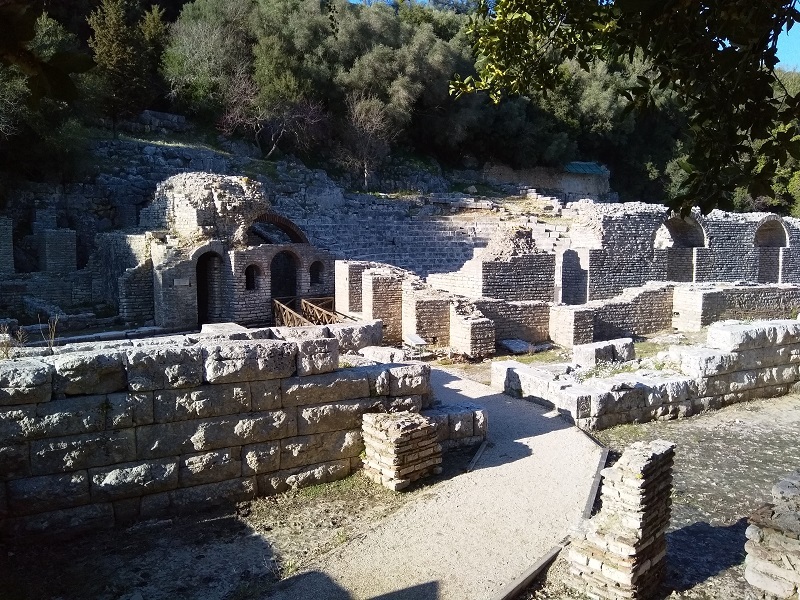 For anyone who likes visiting old ruins, it definitely deserves a place at the top of the list of things to do in and around Saranda. Ruins aren’t my thing, but I was curious to see what all the fuss is about. When I visit ruins I normally expect to see the remains of a castle, an abbey, or some other old building. Butrint offers much more than that. 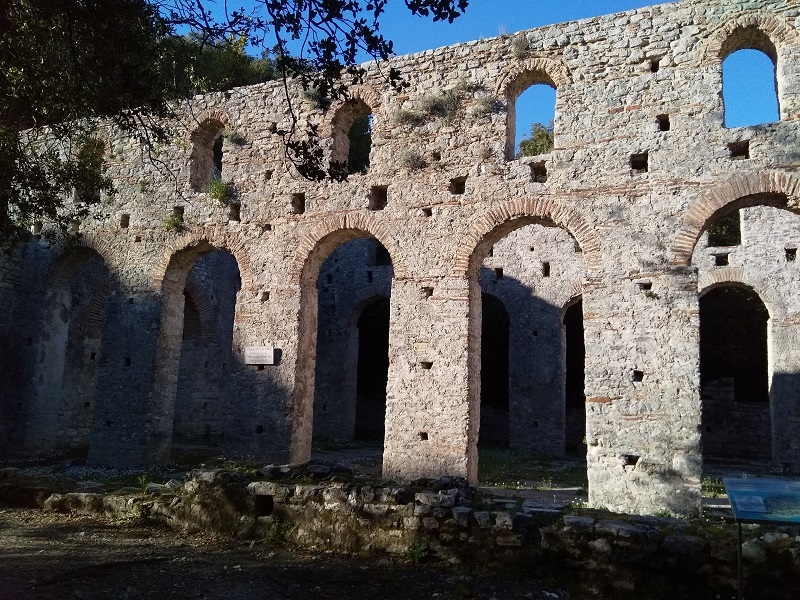 In fact, for anyone who loves ruins, Butrint is likely to be a dream come true. The national park contains the ruins of an entire ancient city. The city dates back to the 8th Century BC and the free guide states it may have been founded by exiles who left Troy after the Battle of Troy. I find history a bore, so none of this interests me. 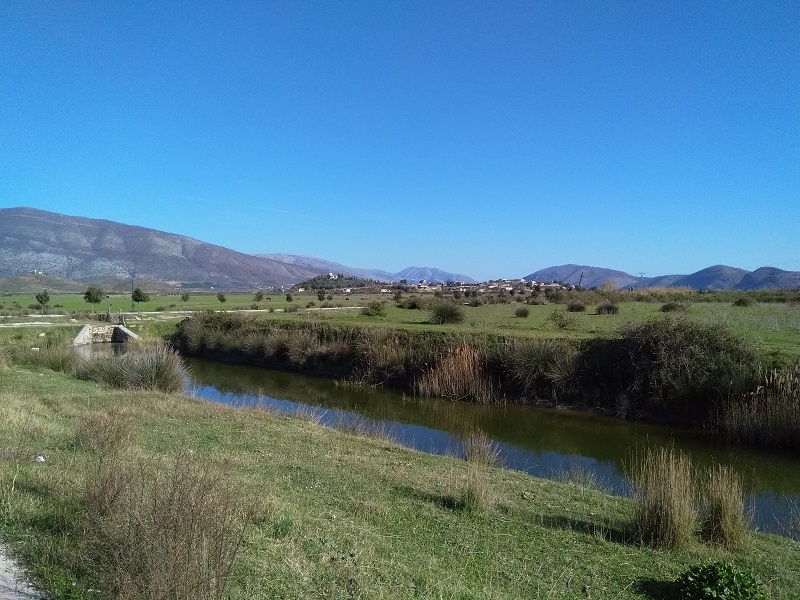 My feet are planted very firmly in the “now”, but visiting Butrint was a good way to kill an hour or two and the countryside around the area is incredibly nice. The ruins are good too. 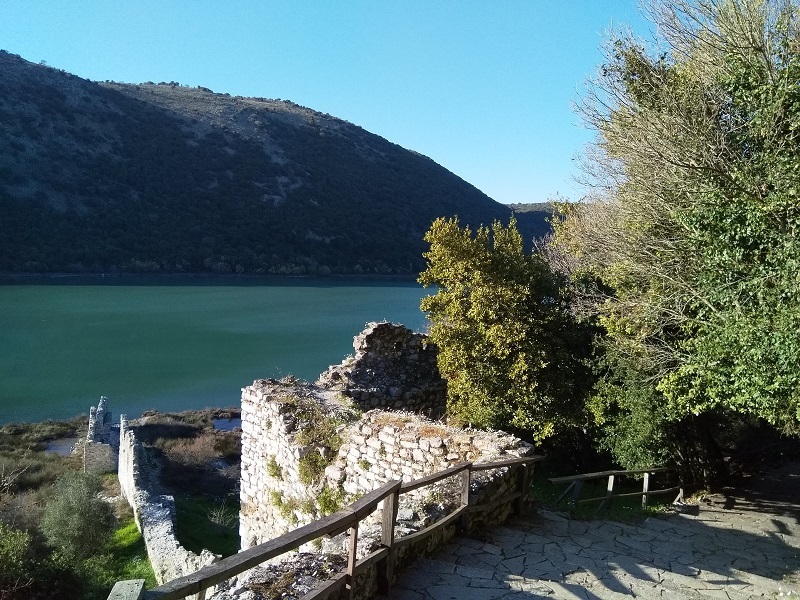 Even I could see that, but people who are interested in this sort of thing will have a greater appreciation of the ruins at Butrint than I could ever hope to understand. When you follow the map you get at the gate it, more or less, takes you on a circular route that allows you to see all 15 of the main point of interest, including some Roman baths, an ancient theatre, and a hill-top acropolis. 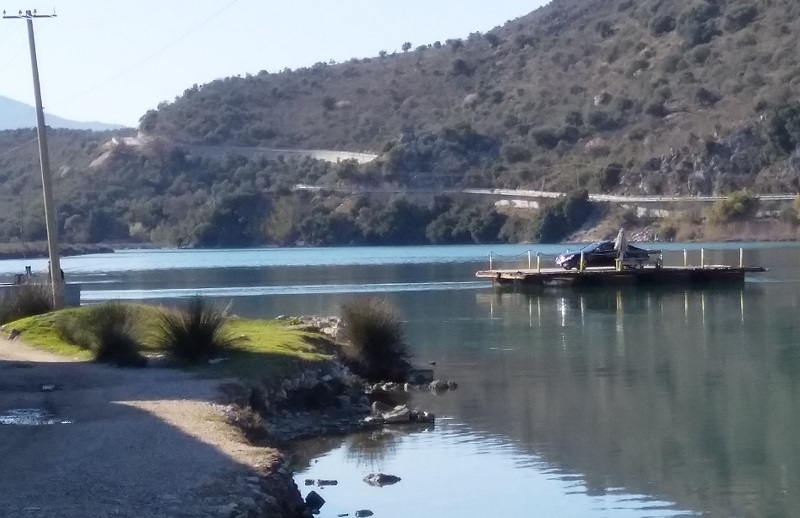 Not far from the entrance to the old city ruins, you can take a cable ferry across Lake Butrint. The ruins of a Venitian triangle castle are only a stone’s throw away from where you disembark the ferry. Personally, I was more interested in taking a walk in the country, so that’s what I did. All in all, my day out did not cost me much. 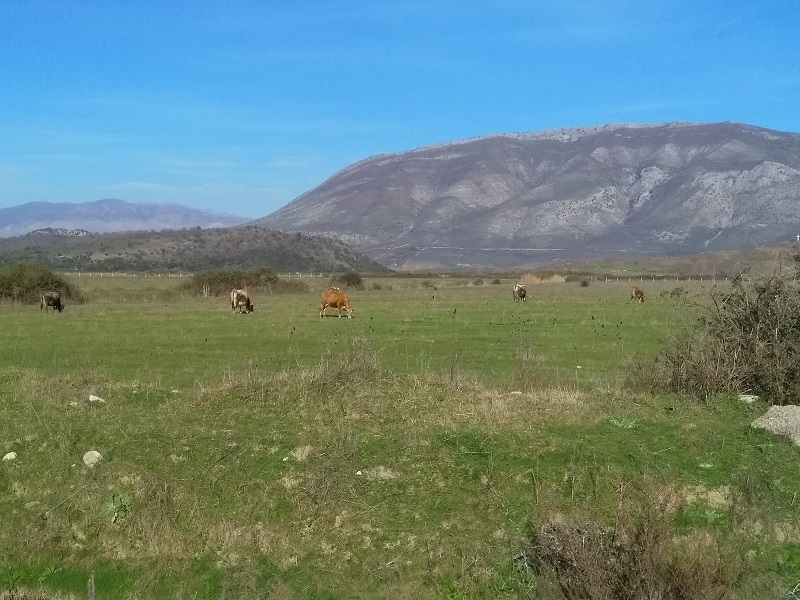 I paid 100 Lek (70 cents) for the bus ride from Saranda to Butrint and another 100 Lek for the ride back. Crossing the lake on the cable ferry costs 50 Lek each way if you are on foot. If you have a car it costs more and a lot of people seem to make the crossing that way. My biggest expense of the day was paying the entrance fee for the national park. It cost me 700 Lek (€5.60).